In this exercise, I want to see how well the Dayton PA200-8 woofer integrates with the Pyle PDS442+Dayton H07E horn. The PA200-8 is loaded in a ported box of 20 liters. The outboard electronic crossover is set to 2kHz for optimal summation. Ported Box = 20 liters. Baffle Width = 10.5″ Fig 1 – Frequency Response of Dayton PA200-8 and Pyle PDS442/Dayton H07E. Mic at 36 ins, Horn axis. Impulse Window=5ms. No Smoothing. Nearfield below 500Hz. It is interesting to note that even though the crossover is set to 2kHz, the acoustic crossover is at about 1.8kHz. Moreover, there is a bump at 700Hz. This bump is inherent in the Dayton PA200. The only way to get rid of it is by EQ. Fig 2 – Summed Response with Pyle PDS442+H07E wired in Normal Phase. The summed response of the Dayton PA200 with the Pyle PDS442/H07E is not very pretty around the crossover region. The 700Hz bump is still there but what follows is a dip at 1.1kHz. The good part is it is virtually flat after that. Fig 3 – Summed Response with Pyle PDS442 wired in Reversed Phase. Fig 3 is with the Pyle PDS442 wired in reversed phase. This resulted in a sharp, deep notch at about 1.8kHz. This indicates excellent phase alignment. Fig 4 – Distortion Sweep with Mic on Dayton H07E axis. 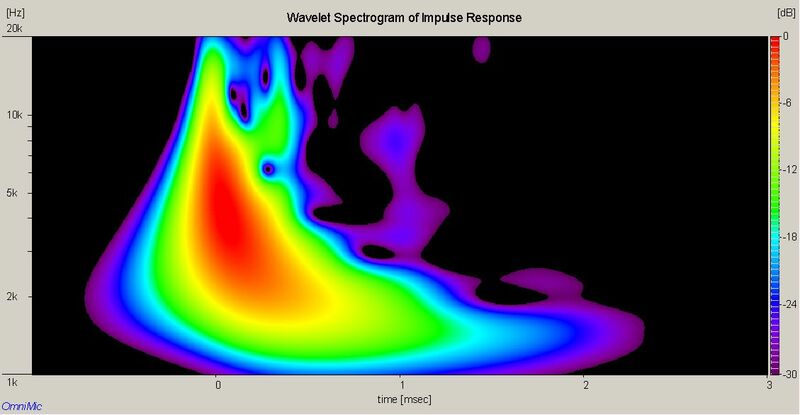 Fig 4 shows the 3rd harmonics (Violet) from 200Hz~1.8kHz higher than the 2nd harmonics (Red). These are all from the Dayton PA200-8 woofer. Fortunately, they are 40~50dB below the fundamental. I doubt they will affect the sound. Fig 5 – 24dB/oct Linkwitz Riley Crossover set at 2kHz. The distortion of the budget Pyle PDS442 ($22.88) is quite impressive. With my crossover set at 2kHz, it registered 55dB below the fundamental. The Toneburst Energy Storage plot shows some artifacts above 7kHz. In Fig 7, the Spectrogram reveals the artifacts are less than 1ms. I believe they are inaudible in playback. What is more important is the region from 1kHz~6kHz. As can be seen in Fig 6, it exhibits minimal artifacts. On playback, vocal sibilance did not sound like screeching glass. It was crisp, sharp and short. How do they sound like? The first thing that struck me with the Dayton PA200-8 is how articulate the mid-bass (90Hz~200Hz) is when compared to the MCM 55-2960. That’s not unexpected as the 55-2960 is designed with a high Q. The major surprise is the Pyle PDS442 with the Dayton H07E horn. It’s flat response and low distortion is amazing for a budget compression driver. The only drawback is it starts to roll-off at about 8kHz. This is not a serious issue as a super tweeter can be incorporated if desired. Despite the Dayton PA200 bump at 700Hz, this speaker sounds unbelievably good. It is almost impossible to pick out this anomaly during playback. In fact, it’s even good enough for HiFi. Female vocals are reproduced with utmost clarity with no hint of harshness. The Dayton PA200-8 is not perfect but for a mere $35, it is great value for money. Due to the high sensitivity of this woofer, it is an asset for Home Theater where high headroom is needed. In commercial applications, the Dayton PA200 with the Pyle PDS442/H07E combo is outstanding. This speaker will be right at home in lecture halls where speech clarity is critical.